Sebastian Lelio follows up his superb A FANTASTIC WOMAN with DISOBEDIENCE - a drama based on the novel by Naomi Alderman - set in London's Orthodox Jewish community. It stars Rachel Weisz as a Ronit and Rachel McAdams as Esti - two girls who fell in love as teenagers and realised that they were gay. Their reactions were, however, different. Ronit left the community, went to New York, and has become a successful photographer, although has never fallen in love with anyone else. Esti stayed in the community and married their childhood friend Dovid (Alessandro Nivola). She lives an apparently straight life, teaches in an Orthodox school, and is trying to make the best of things. The movie opens with Ronit's father, a revered Rabbi, making his final sermon on the idea of free will and disobedience. He collapses and dies, and Ronit returns for his funeral, setting the events of the film in motion. Her character is difficult - at times I winced at her unwillingness to make nice just for the few days she's back - insisting talking about business at a sabbath meal even though she knows its offensive, or playing with wearing an orthodox wig. But as I watched the film further I realised that this was exactly the point. Ronit can't make nice - that's why she had to leave. That's why she isn't Esti. And yet as the film progressed I realised that Esti was actually the more interesting character, because while she appears to be compliant, she was actually the one who contacted Ronit and precipitated her return. And so the discovered kiss at the centre of the film that triggers its second act crisis of conscience is not an unbelievable risk, and one that stretches credulity, but once again in Esti's character. She wants to be discovered, triggered, and is in some sense using Ronit. Which leads me, surprisingly, to the most fascinating character of all in the film - Dovid, played beautifully in a career-best performance by Alessandro Nivola. In a film that is very respectful of the orthodox community, Dovid comes across as an intelligent man really trying his best to understand his wife's feelings, humble and empathetic. He's the person in the community who is welcoming to Ronit despite their suspicion of her. He's the person who really tries to understand how to do the right thing. It's a truly moving depiction of a religious man without judgment or hypocrisy, and so rare to see on screen. 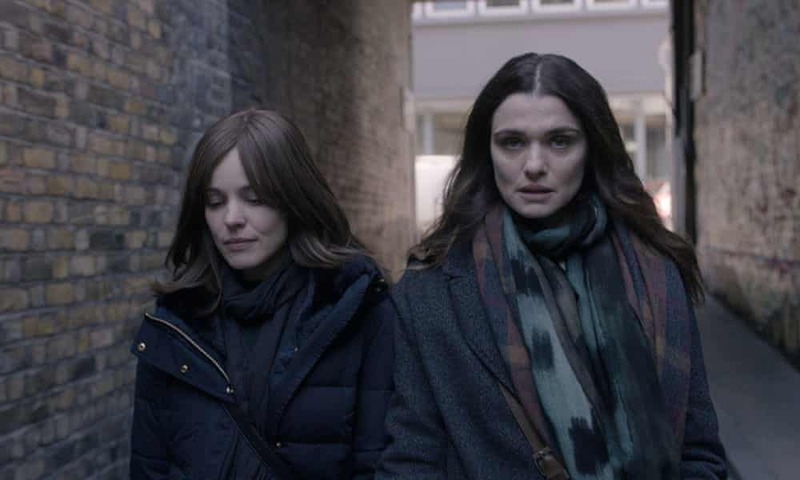 DISOBEDIENCE is rated R and has a running time of 114 minutes. It is available to screen on demand at Curzon Home Cinema and on limited release in cinemas.